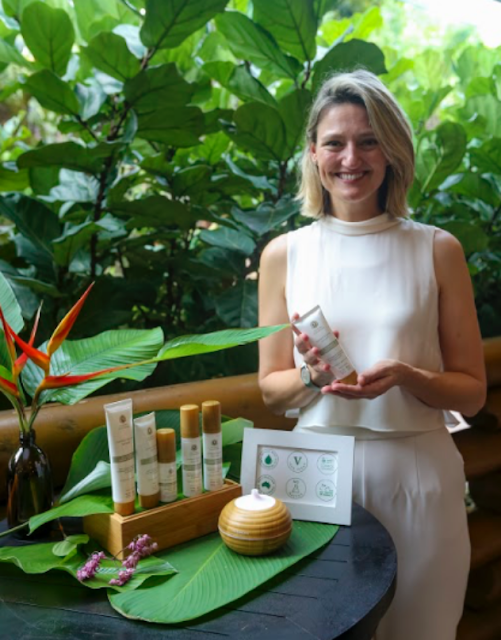 We met the lovely Global Marketing Manager Claire Tapp, who assured us that what Oil Garden have left out of their products, was just as important as what they have put in.. 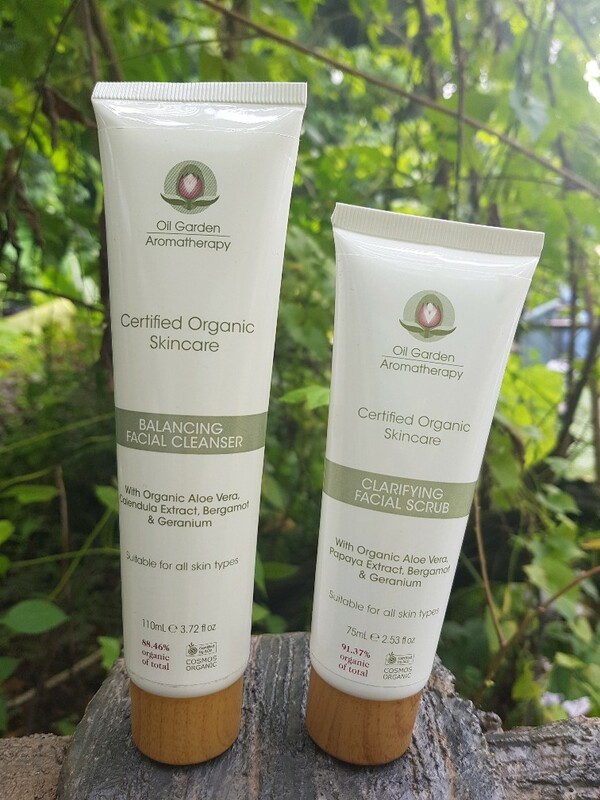 The Oil Garden Organic Certified Skincare range is free from paraben, sulphates, mineral oils, silicones, petrochemicals, synthetic fragrances, artificial colours, polyethylene glycol (PEG compounds), ethanolamine’s (DEA/MEA/TEA) GMO’s, phthalates and EDTA. 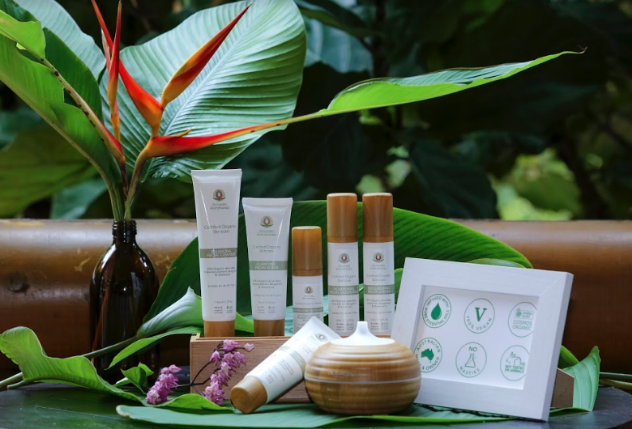 The Oil Garden Certified Organic skincare range includes all of the products you need for beautiful, healthy, glowing skin, with a full regime for morning and night. Balancing and refreshing cleanser to gently remove impurities, leaving skin feeling toned and purified. Directions: Apply a small amount of Balancing Facial Cleanser to a damp face. Massage gently on to face and neck in a circular motion until a lather appears. Rinse face thoroughly with warm water and pat dry. Usage: Use daily, morning and night, to leave skin feeling fresh, toned and purified. Formula: Cream Gel, wash off cleanser. Ingredients: COSMOS 88.46% Organic. Base of organic Aloe Vera (to moisturise and repair), Calendula Extract (soothing and healing for a refreshed and revitalised complexion) & Rose Hip Oil (rich in essential fatty acids to nourish and restore moisture). Enriched with pure essential oils of Bergamot (to cleanse and refresh) & Geranium (to improve elasticity and promote circulation). Helps to polish away dead skin cells to reveal a smoother and more radiant complexion. Directions: After cleansing, dampen face with water and gently massage Clarifying Facial Scrub on to the face and neck in a circular motion (avoiding the delicate eye area). Rinse face thoroughly with warm water and pat dry. Usage: For normal to dry skin, use once or twice a week. For oily/congested skin use two to three times a week or as needed. Agra (walnut shell powder) is a natural exfoliant that helps to polish away dead skin cells, revealing a smoother and more radiant complexion. Formula: Creamy cleansing lotion with exfoliating agra. Ingredients: COSMOS 91.37% Organic. 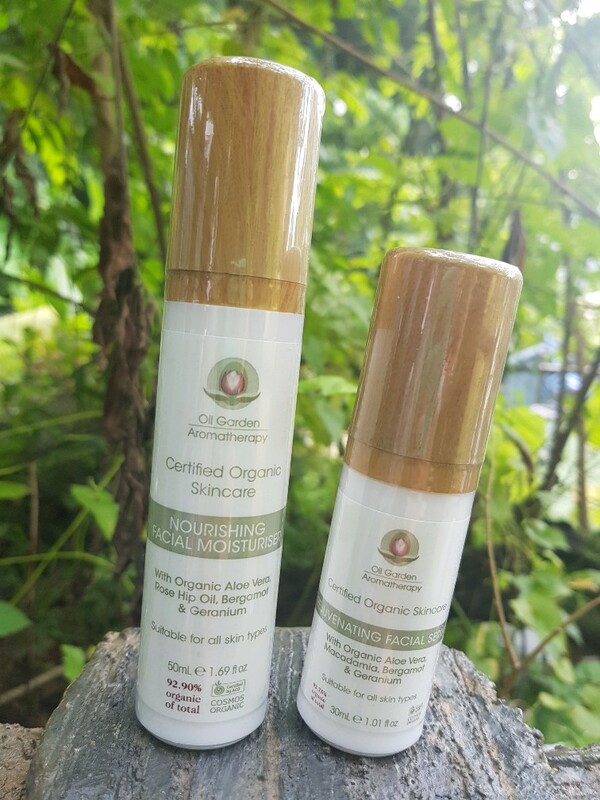 Base of organic Aloe Vera (to moisturise and repair), Argan Oil (rich in vitamin E and essential fatty acids for a healthy, radiant complexion) & Papaya Extract (anti-aging, brightening and repairing). Enriched with pure essential oils of Bergamot (to cleanse and refresh) & Geranium (to improve elasticity and promote circulation). Directions: After cleansing and/or exfoliating, apply a small amount of Rejuvenating Facial Serum to the face and neck. Usage: Use daily, morning and/or night, to improve overall skin tone and reveal a brighter, more youthful complexion. 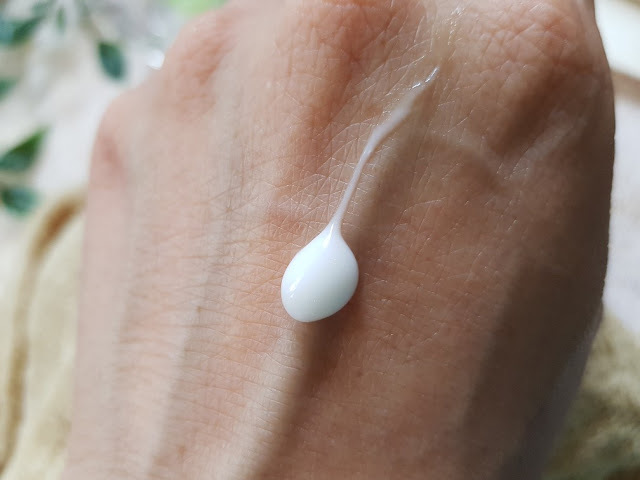 Formula: Light milky Rejuvenating Serum. Ingredients: COSMOS 92.75% Organic. Base of organic Aloe Vera (to moisturise and repair), Macadamia oil (fast absorbing, lightweight and anti-inflammatory, to soften and smooth skin without clogging pores), Rose Hip Oil (rich in essential fatty acids to nourish and restore moisture), Sweet Almond Oil (rich in fatty acids to help skin retain moisture and heal irritated skin) & Camellia Seed Oil (Rich in antioxidants, Vitamins A, B and E). Enriched with pure essential oils of Bergamot (to cleanse and refresh) & Geranium (to improve elasticity and promote circulation). Nourishing and Hydrating facial moisturiser. 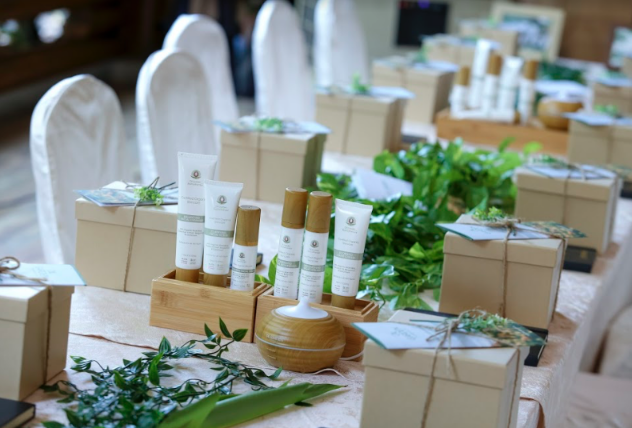 Lightweight moisturiser promoting skin elasticity for healthy skin. Directions: Apply a small amount of Nourishing Facial Moisturiser to the face and neck, after cleansing and applying serum. Usage: Use daily, in the morning, to leave skin feeling hydrated, soft and comfortable. Ingredients: COSMOS 92.90% Organic. 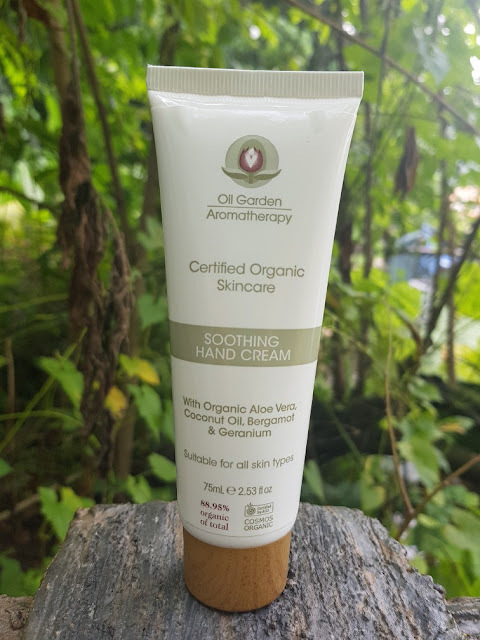 Base of organic Aloe Vera (to moisturise and repair), Rose Hip Oil (rich in essential fatty acids to nourish and restore moisture), Macadamia Oil (fast absorbing, lightweight and anti-inflammatory, to soften and smooth skin without clogging pores) and Cocoa Butter (healing and protecting). Enriched with pure essential oils of Bergamot (to cleanse and refresh) & Geranium (to improve elasticity and promote circulation). Works at the deepest level to repair and hydrate the skin while you sleep. Usage: Use daily, in the evening, to deeply repair and hydrate the skin while you sleep. Wake up with visibly renewed and more luminous skin. Formula: Nourishing and regenerating night cream. Ingredients: COSMOS 92.59% Organic. 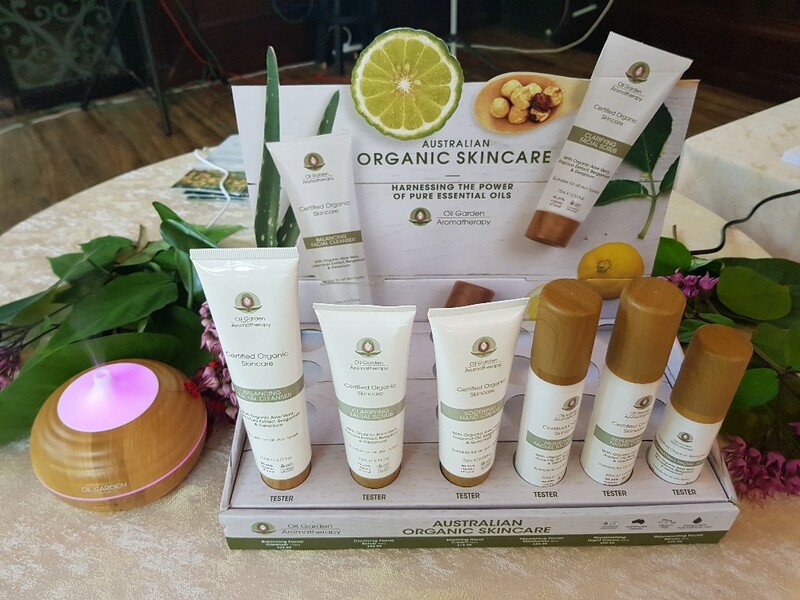 Base of organic Aloe Vera (to moisturise and repair), Jojoba Oil (Rapidly penetrating to help promote elasticity and protect the skin's moisture barrier), Macadamia (fast absorbing, lightweight and anti-inflammatory, to soften and smooth skin without clogging pores), Shea Butter (rich in vitamins A, E and F). Enriched with pure essential oils of Bergamot (to cleanse and refresh) & Geranium (to improve elasticity and promote circulation). Non-greasy and readily absorbed, hands are left protected, supple and smooth. Directions: Massage liberally on to hands, nails and cuticles. Formula: Non-greasy and readily absorbed hand cream, perfect to use on the go. Organic Ingredients: COSMOS 88.95% Organic. 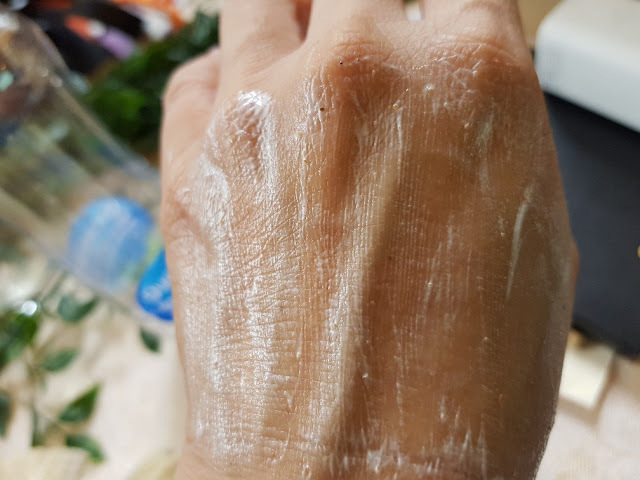 Base of organic Aloe Vera (to moisturise and repair), Coconut oil (to lock in moisture) Enriched with pure essential oils of Bergamot (to cleanse and refresh) & Geranium (to improve elasticity and promote circulation).